Here are some of foods that heal and can encourage health and boost natural weight loss. Explore how to lose weight with these foods. Broth has a magical healing power. If you are bedridden and cannot have much of raw food, you can try broth. You can even add fish, grains or meat as per your mood. You can season it with fresh herbs and can eat cooked vegetable. Vegetable taste natural as the taste is preserved. 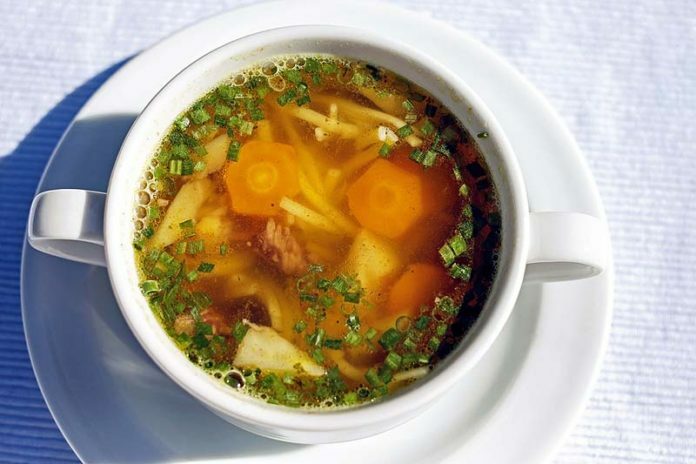 Broth is very healing, since it is easy to digest. It hydrates body and boosts metabolism. Providing essential minerals and vitamins and adequate energy to body, it consolidates the extra need of food and fulfills the appetite. Coconut oil is a form of superfood which is high in lauric acid. Lauric acid is found naturally in breast-milk. The healing effect of coconut oil is commendable. Extra virgin coconut oil moisturizes the body and promotes anti aging in the body. It can be heated to high temperatures and should be used to cook foods. Coconut oil powerfully effects metabolism and can boosts weightloss effectively. It contains medium chain triglycerides and fatty acids that boosts metabolism, hence promoting weightloss. Apple cider vinegar is very rich source of potassium and other minerals, enzymes, vitamins and amino acids. It has a healing power, which benefits body both internally and externally. It is a organic product with best of vinegar properties. It reduces your body fat percentage and helps you lose belly fat and reduces your blood triglycerides. Apart from being so delicious, it is hard to believe that it is good for your body. Cinnamon has a distinguish power to regulate your blood sugars, which is very important for weightloss. Including a scoop of cinnamon in your daily diet can boost weightloss and immune system. It’s a natural weightloss promoter, as it lower blood sugar level, hence increasing fatloss. Natural and organic foods cause no harm and always heal our body in natural ways. They help in increasing power of immune system and providing support system to body. These foods can be used for boosting metabolism to help achieve weightloss effectively. Naturally achieving weightloss is more lasting and have fewer side effects for body.